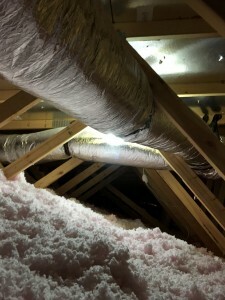 Just because our winter weather may not be quite as severe as the heat of summer is around here is no reason to ignore the signs of trouble exhibited by your heater. When you first notice that your heater is struggling or operating unusually, pick up the phone to give us a call. Prompt heating repairs in Prosperity, SC are always in your best interest. If you really want to get out ahead of any heating problems that you may encounter, of course, then you need to learn the warning signs that repairs are necessary in the first place. You don’t want to wait for a complete breakdown, after all. Keep your eyes, and the rest of your senses, peeled for these signs of trouble. This is not really the time of year that most homeowners are scrambling to buy a new heating system. After all, you’re probably running your heater pretty regularly right now. If your heater should break down on you, however, or if you’re just thinking ahead to a replacement once the seasons change, you may be giving your next heater some serious consideration already. It is a decision that you certainly cannot rush into if you want to be happy with the outcome, though. In addition to choosing the type of heater, which fuel you’ll use, etc., you also need to know that your heater is of the right size for your home. It requires more than just knowing the square footage of your living space. When we install your heater in Columbia, SC, it will suit your home perfectly. It’s very possible! The furnace is probably the most popular of all heating systems used in the country today, and this is no fluke. When properly sized and professionally installed, the furnace can truly excel in the heating of one’s home. Today, we’ll look at some of the reasons that you may choose to use a furnace in your home. If you do decide to go with a furnace in Chapin, SC, be sure to let us know. We’ll guarantee that your furnace is installed properly every step of the way. Posted in Heating | Comments Off on Is a Furnace the Right Heater for Me?